Also in the rumor mill today is the next Assassin’s Creed game releasing in 2017. The game, supposedly called Origins, is being developed by the team that made AC IV: Black Flag. An off screen image hit the internet showing enough information to tell us the setting, time period, and most likely plot of the game. 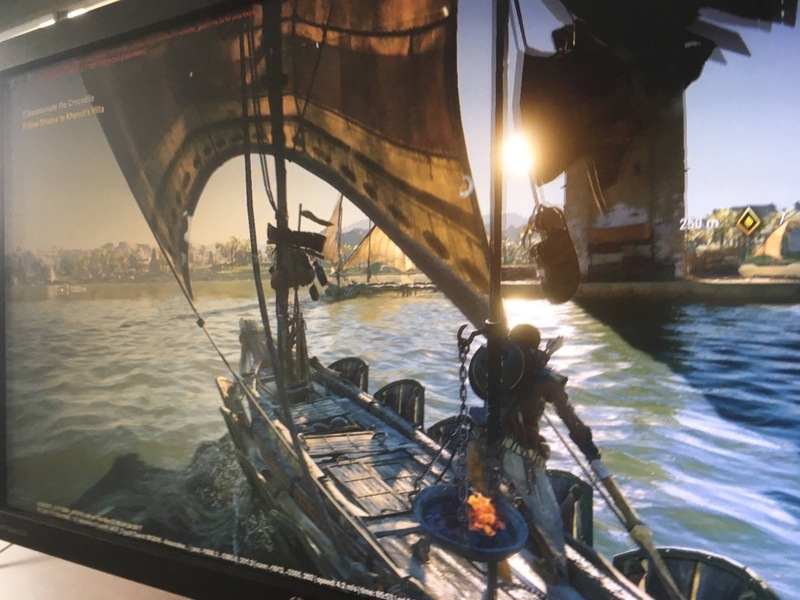 The image shows the protagonist sailing a small boat, something certainly expected from the Black Flag team. The image also references “Khenut’s Villa”. Khenut was an Egyptian queen who reigned some time in the Fifth Dynasty between 2494 and 2345 BC. So the setting of Egypt is essentially confirmed by the image. Finally, the time period being possibly millennia before the events of the original Assassin’s Creed, which took place in 1191, and the name “Origins” could very well point to a prequel that tells the beginning of the Assassin and Templar struggle. We could also be seeing more information on the First Civilization, setting the stage for a more modern conflict that was introduced in AC: Syndicate. We’re certainly going to see more on the next Assassin’s Creed game at E3.